"Shake That Booty (feat. Viviana Toro) "
Shake That Booty feat. Viviana Toro” is a song written by Australian Nigerian Dance Recording artist Ray Ramon alongside Dave Cherry, aka Andromeda, the Music Producer. 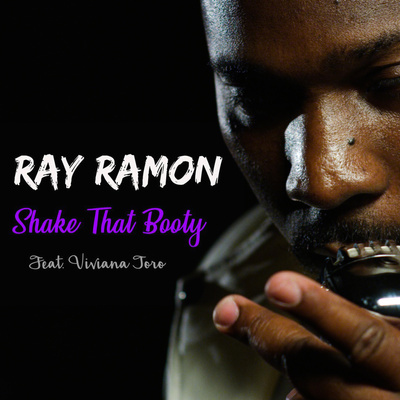 The song is Ray's first single of 2019 following on from the previous Kings of Spins Club Chart #1 “Make that move” and "Bad Bad Man". The song has a massive Latino feel with Ray singing partly in Spanish with a great rhythm track to keep the beat. Ray has teamed up with the now Sydney based, Columbian model Viviana Torro to put her voice to the song and with their vocals blending beautifully, this could be Ray's strongest single yet. "The rhythm is infectious, and will be an instant hit on the Latino, electro, pop dance and soul markets. Upon first listen by another presenter, her reaction after just twenty seconds was "This is great – where can I get a copy?". No doubt dance mixes will follow and watch out for the video that will be released same day as the single and expect the usual high quality production on both formats.